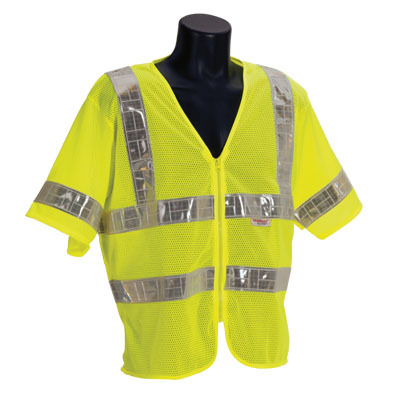 ANSI Class 3 Lime Mesh Vest with Half Sleeves Class 3 vest with half sleeves. 360Ëš degrees of 2" inch silver stripes. 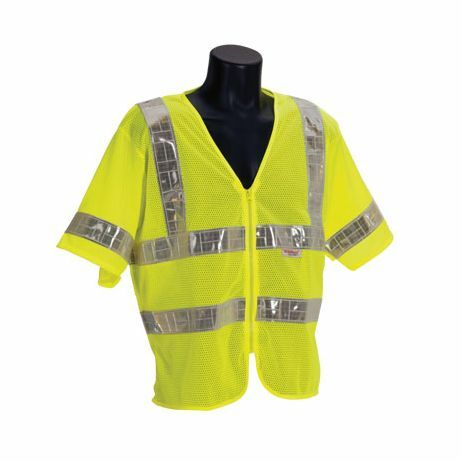 Zipper front. Sold by each.